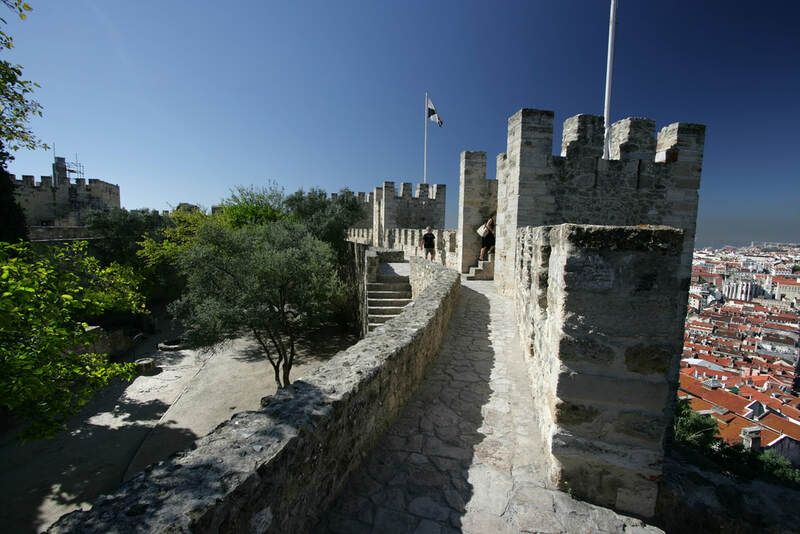 Having previously cruised the “east side” of the Mediterranean we were encouraged to join two of our young granddaughters and their parents on a five-week tour of parts of Europe, packing a 10-day “western Mediterranean” cruise in the middle period. Despite all the semi-negative comments we had about travelling with grandkids - not sure if the looks were of dismay or pity - we embarked on the long flight to Singapore (with an airport hotel stopover, which we regularly do) then to Athens for one night before a week at Mykonos (see our story on our Athens stay). We then made our way to Genoa in Italy and spent 24-hours exploring before embarking on the cruise. Like many parts of Europe, we could have spent a lot more time in Genoa. Embarking with the MSC Magnifica was a breeze, starting with great assistance from the porters through to the cooling drinks at the embarkation hall. We quickly found our quarters - a beautiful balcony cabin that soon became our chill-out zone - and just as quickly sorted our drinks package and found the welcoming tea, coffee and pastries. Mediterranean, we are back - ​this time taking in Malaga, Casablanca, Lisbon, Barcelona, Marseille and back to Genoa. The cabin was around 20 square metres with a spacious balcony, separate bathroom with shower, tv, phone, wi-fi, safe, mini-bar, a comfortable double bed, spacious wardrobe and excellent air conditioning. All-in-all a comfortable and private home- away-from-home. Our first day was at sea, which gave us plenty of time to explore the ship and help settle the girls (18 months and 3 years), as well as get over our week in Mykonos, the ensuing flight and a fast exploration of Genoa. The weather was also great so we made good use of the pool, spa and day beds. 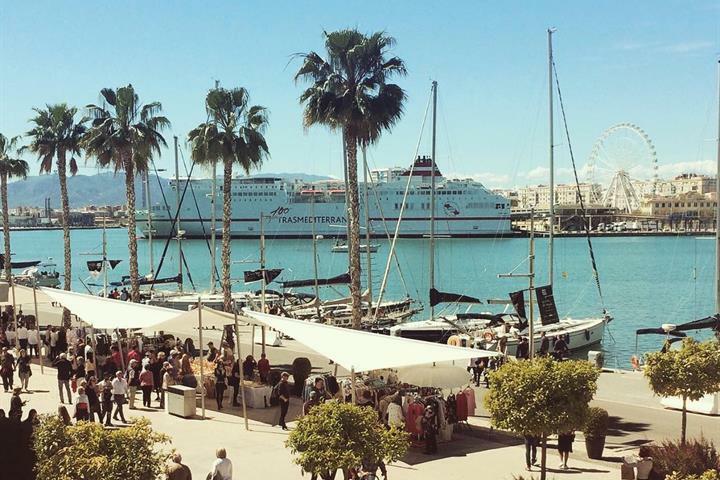 Our first port of call was Malaga in the south of Spain and, if you haven’t been there, put it on your bucket list. Stepping off the Magnifica immediately took us into a different world, with hundreds of metres of wide, paved walkways flanked both sides with classy markets, restaurants and a variety of shops stretching from the port entrance to the edge of the city buildings. That in itself brought another wash of excitement. 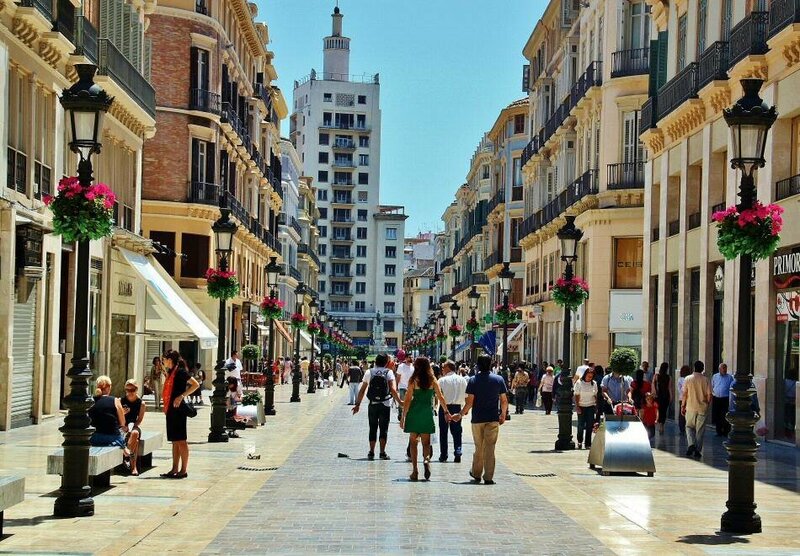 The main street in Malaga - Calle Larios - is recognised as being one of the most elegant streets in all of Spain, and quite rightly so. Although Spain is known for its old buildings, Calle Larios was constructed late in the 19th Century and features wide paved streets that are closed to traffic and bordered by some outstanding architecture. Based on the general layout of Boston in the USA with straight lines and uniform facades, the concept was to link the port with the main city and create an environment that allowed the sea breezes to flow into the city centre. Part of the design - that has both achieved this and also made the city feel warm and welcoming - is all the corners leading into side streets are rounded, adding to the atmosphere. While there is much to see and do in Malaga, we just spent the day wandering around the streets, exploring shops, enjoying some coffee and pastries (and delicious nuts from a street vendor), and exploring the different buildings. We collected some delicious ice creams as well as some great clothes at the markets; had a coffee under the mist sprays; and returned to the Magnifica to catch up with family over a sumptuous dinner and a few drinks, before retiring early to prepare for Morocco the following day and watch Malaga fade in the distance from our balcony. 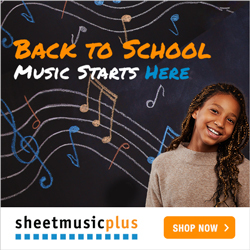 We’ll be back, as there is only so much you can do in one day! The next morning we woke with anticipation in Morocco, another amazing country on the north of Africa where the Atlantic Ocean meets the Mediterranean Sea. 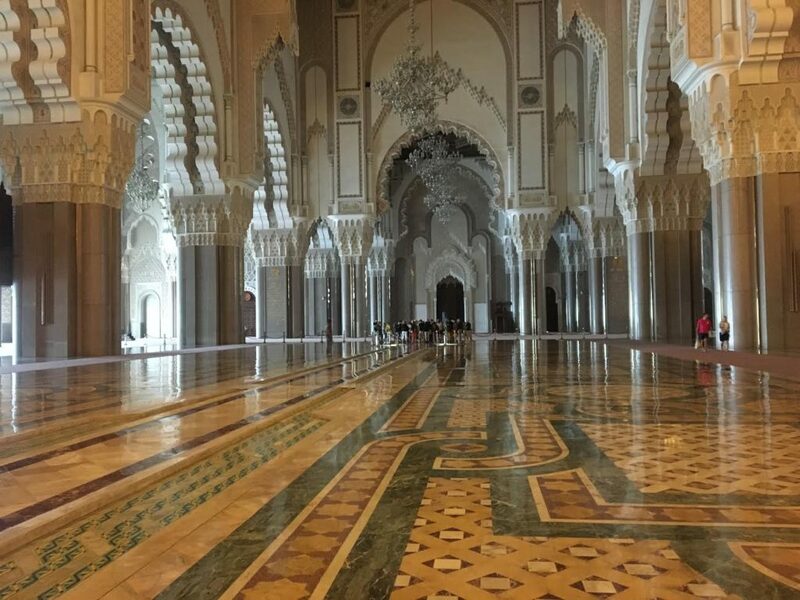 Expecting the best of both worlds, we chose to continue exploring alone and took a taxi to the famous Hassan 11 Mosque - a must for everyone to visit and probably the biggest attraction in Casablanca. ​It is the second largest mosque in Africa and the fifth largest in the world, with a capacity of 25,000 indoors and another 80,000 in the grounds. Every picture tells a story - it is worthwhile allowing a couple of hours to explore and let it all soak in. This was when we experienced our first minor blunder or miscommunication. We asked our driver to take us to the main shopping mall which we heard was outstanding. 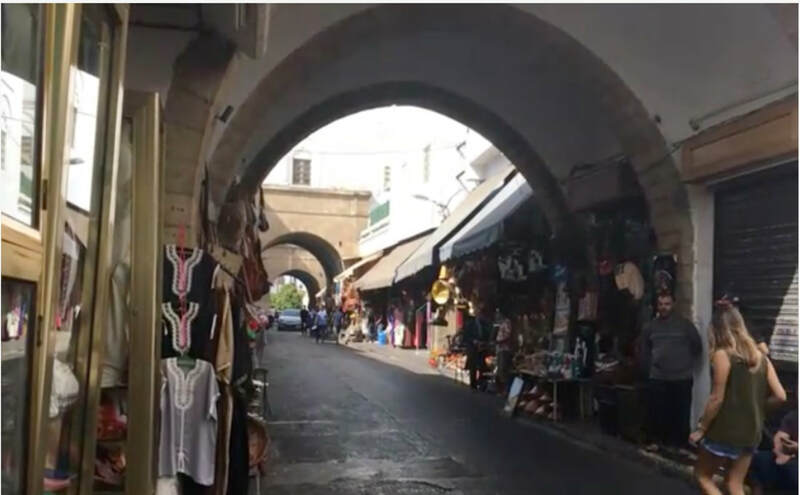 However, perhaps on purpose, we ended up at the major souk (local market selling everything) at Old Medina about 30 minutes through winding streets and, when we arrived there, our driver disappeared saying he would be back in an hour - perhaps he went to visit relatives? While we initially felt a little abandoned, we soon filled in our time experiencing the hustle and bustle of the souk, which included being ushered or enticed into a variety of stores and found our exit quickly blocked while the merchants plied their sales pitch. Initially a little daunting we soon became accustomed to their banter and the hour went quite quickly. Later that evening we found some more modern markets closer to the ship, but missed out on going to the Morocco Mall which, at 200,000m² is the second largest shopping centre in Africa. We came across hundreds of people, music, noise, chatter and laughter on a wide paved area parallel to the roadway, hundreds of metres long. We discovered it was where locals hang out, with crowds of 50 or so around each of the many street performers, or whole families catching up with friends. Although is was late there were children as young as three years driving around in small electric cars - it seemed like such a fun, joyous environment we would have liked to stay longer, but ships normally can’t wait! 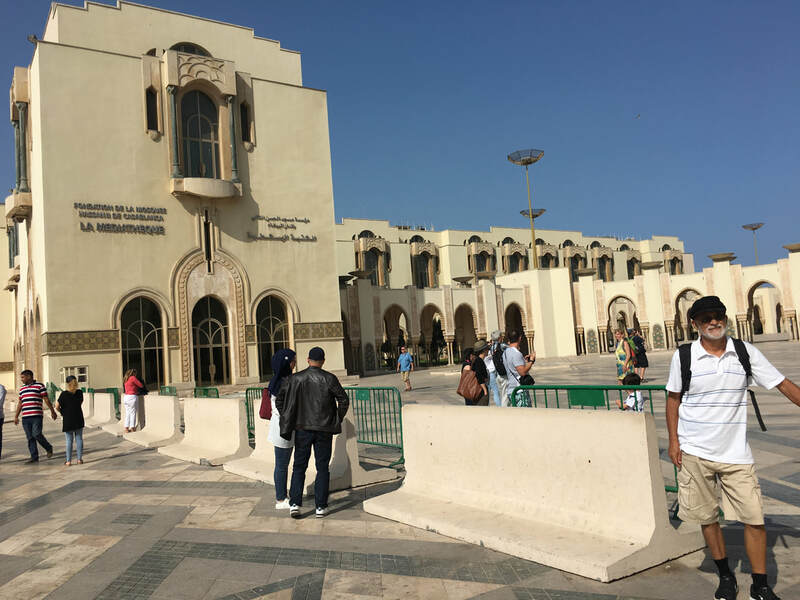 One of the disappointments of our visit to Casablanca was discovering that a trip to Marrakesh was about three hours each way, so only having a day we were content to simply explore Casablanca. The following day was again as sea as we cruised north again to Lisbon. It was a good time to relax and enjoy the ships great pools and spas, lots of exploring, relaxing in the bars listening to the entertainment, watching a great show and of course minding the grandkids while their parents had a break. The good thing about Magnifica is that there was something for everyone of all ages. We approached the Lisbon port along the Tagus Estuary and the first thing that many passengers wondered was whether the ship would pass under the Ponte 25 de Abril suspension bridge, for it seemed it would be a close call. Logic said it would clear it with ease, but the closer we got the more it looked like perhaps there was a high tide or something. We later discovered the distance between the bridge and water was only 70 metres and Magnifica was about 65 metres above the water, so it’s easy to see why quite a few were nervously watching! See how close it appears in the above photograph as a sister ship MSC Preziosa passes under the bridge when leaving Lisbon. ​The second item to draw everyone’s attention was the brightly coloured rows of buildings that appeared to be stacked on the hills behind the port - in the distance it was just like a drawing from a picture book, and once ashore we were not disappointed. Lisbon, the cultural centre and capital of Portugal with a population just over half a million, is a captivating mixture of castles, cathedrals, museums intermingled with brightly tiled street facades, cafes, restaurants, exclusive stores and bars that often flank streets that are uniquely paved with black and white volcanic stones - it was a surprising and delightful invitation to explore. While the city shopping area near the port is fairly level and easy to stroll around, the surrounding region is very hilly as we first noticed from the ship, so investigating the wider city takes a tour or a moderate level of fitness - or you can take a pleasant tram ride through the Alfama district, which dates back to medieval times. 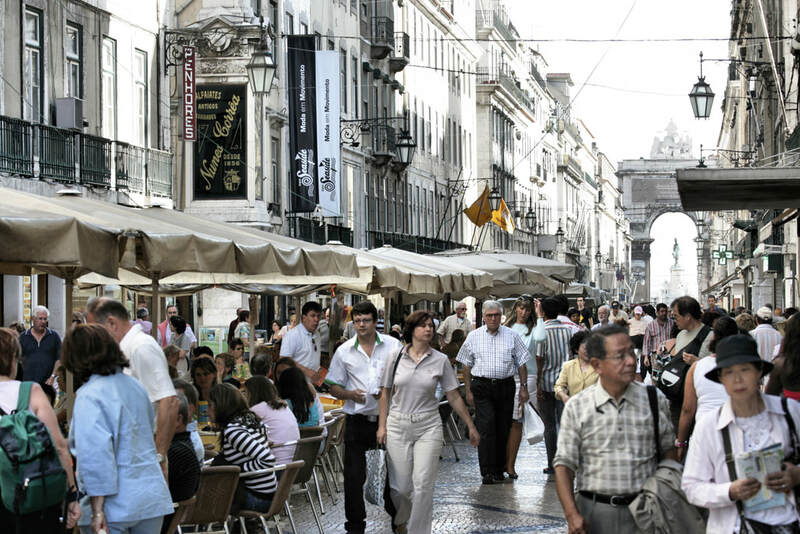 Lisbon seems to have emerged from an older style, elegant era which helped maintain its charm. Much of the city was almost destroyed by a massive earthquake in 1775 and has since been rebuilt. The quality of the city buildings make it clear that is has been a city of wealth for a long time. There are plenty of cafes and restaurants, especially if you enjoy reasonably priced local seafoods, freshly-baked pastries, cheeses, wines or a range of other typical European-style foods. And all just a short walk back to the ship for a refreshing swim as the end of the day. Our next stop was Barcelona in Spain. We previously spent a very enjoyable week here (see our stories elsewhere), so decided to take the girls along La Rambla while their parents did some exploring. As much as we love Barcelona it was a little disappointing - this visit was shortly after the terrorist attack and just days before the huge Catalan protests, so the atmosphere was much more subdued - fewer street performers and vendor stalls and many more armed soldiers and police. We hope La Rambla soon returns to the delightfully entertaining, captivating and vibrant space it is known for around the world. Our final port before the ship returned to Genoa was Marseille, the second largest city in France and, from the first glance, we were not disappointed. Guarded by the old fort, the port was crammed with hundreds of yachts and power boats set against a background of magnificent cathedrals, palaces, museums, forts, hotels, churches and six-storey commercial and residential buildings that date back as far as the ancient Greeks and Romans. While the city has a reputation for having a slightly seedy side, you can be a target of crime everywhere around the world if you are careless or don’t keep your wits about you. We encountered only a friendly, relaxed community with lots of great gardens, couples walking hand-in-hand and lots of hustle, bustle and activity. As we left the ship we were greeted by rows of buses that would take us into the heart of the city. Once there we walked along almost every street and around the main harbour. It was so beautiful. Notre Dame de la Garde: One of Marseille’s most famous landmarks, this church is perched on a hill overlooking the ocean and the city. Easy to access by bus, some of the best views in the whole area and it is free. 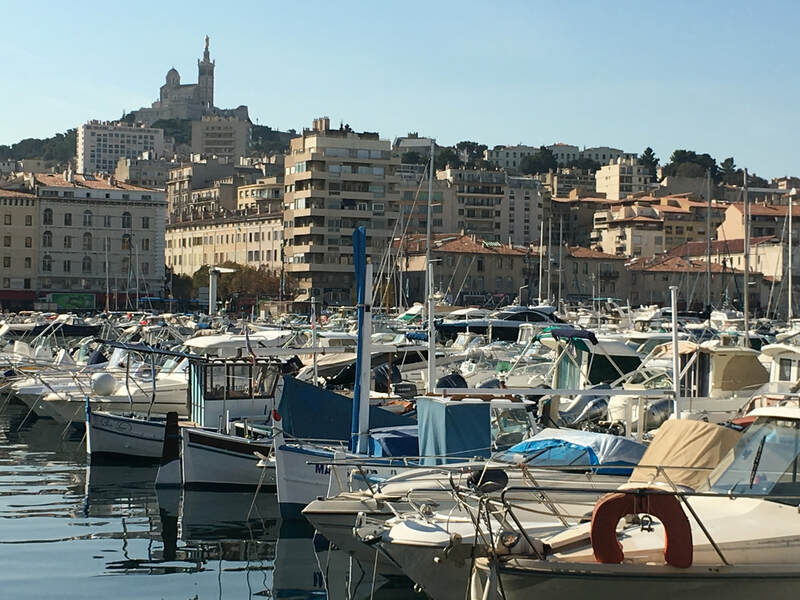 Vieus Port: One of the most popular tourist destinations in Marseille, the Old Harbour is crammed with boats and surrounded by cafes, coffee shops and restaurants (including fresh seafood outlets and authentic French restaurants). We were told the sunsets from the port as worthwhile waiting for, but unfortunately we had a ship to catch! We understand on a new marine terminal complex will open in the next year or two and we hope this doesn’t impact adversely on the enjoyment of travelers. Palais Longchamp: This is the oldest museum in Marseille and houses a wonderful collection of paintings and art works that range from four centuries ago to the modern era. Impressive architecture and also a delightful park that is popular with locals. Chateau d’If : This 16th century castle was the island setting for The Count of Montecristo - the novel by Robert Dumas may be a relaxing read on deck during some of your “at sea” days. It was a prison for the perceived political enemies of France and there are daily boat tours to the island. La Canebiere: This is the city’s largest avenue and features elegant hotels and other ornate buildings from former opulent eras that have mainly been converted to shops, offices, restaurants and bars that give you a great chance to have a taste of some of the French wines, pastas, deserts, pastries and coffees that are famous around the world. The MSC Magnifica began cruising in March 2010 and, with 16 decks (13 for passengers) she is almost 300 metres long and caters for more than 3200 passengers and 1,000 crew. The Magnifica can sometimes spoil one for choices, with a dozen designer-themed bars and five gourmet restaurants serving cuisines from around the world just for starters. The open-air pool complexes - with a skylit indoor pool that has a retractable roof if needed, as well as a solarium and four whirlpool spas - form the backbone of the leisure facilities. There is a kids club as well as specially themed venues for children, which came in handy with the grandkids on board. If fitness is your thing - or you just want to stretch your legs and work out the aches from your days ashore - there is a walkway around the top deck of the pool area, a dedicated jogging track, bowling, tennis, mini golf, billiards and a high-tech gym. There is also an award-winning spa that offers Balinese massages, a Turkish bath, sauna, thalassotherapy room, fitness centre and relaxation room. Topping it all off, there is a romantic panoramic disco that overlooks the ocean, the obligatory casino, an excellent 1,200-seat theatre that had both great shows and good viewing, live entertainment throughout, internet cafe, cigar lounge and lots more - in fact almost too much to do everything with only a few days at sea. The Magnifica was an ideal style of travel for us, particularly as we were a group comprising two young children, two young adults and two retirees - that are both young at heart and still keen to explore the rest of the world! The food was good and plentiful and the service was also good, if not a bit slow in the bars on occasions (remember the 3,200 passengers). Footnote: For all those who were wondering, all six of us had a great five weeks covering eight countries; multiple long flights; self-driving and a valet road tour to Positano, Sorrento and Rome; plus the cruise and several boats and ferries - all without any arguments, hassles or major problems - a relaxing and enjoyable holiday!